A personal project I curated, photographed, and lettered as a way of documenting my first trip to Europe. 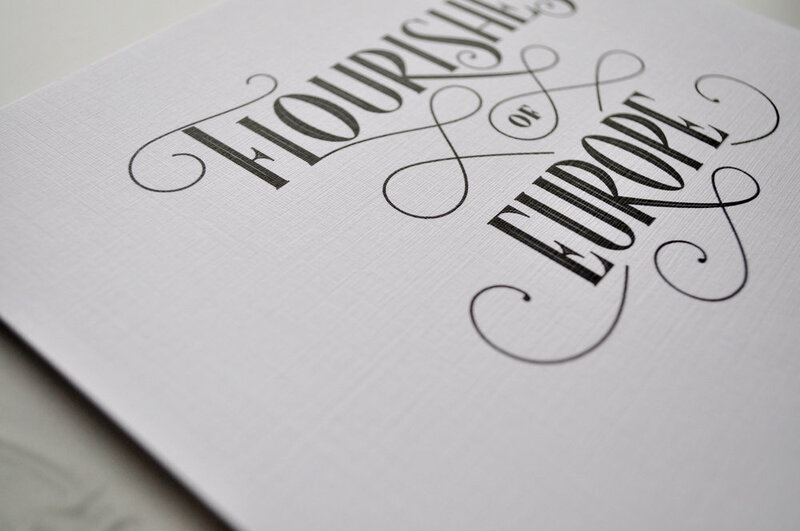 Titled Flourishes of Europe. The book captures the iron works, architectural details, and street signs I encountered across Milan, Budapest, Vienna, Prague, Berlin, Madrid, and Barcelona. Below, is the final product and detail shots. The books were printed through Artifact Uprising and couldn't have been happier with the results. I designed a sleeve, on 100lb Oxford Cover Neenah Paper in Linen finish, to properly display and present this passion project.